Clarion is pleased to announce that Amama Sadiq, MD, MPH, has been promoted to the newly created role of Medical Director. In this role, Dr. Sadiq will provide specific medical and clinical insights and guidance across Clarion projects as well as help the firm identify and respond to health industry evolutionary forces critical to our clients’ success. Before joining Clarion in 2014, Dr. Sadiq practiced Internal Medicine in London where she received subspecialty training in GI and hepatology and developed a lifelong passion to advance care and treatment of liver disorders including NAFLD and hepatitis. 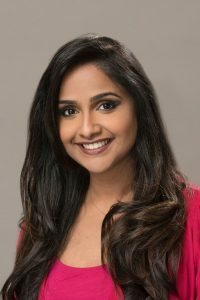 Dr. Sadiq has also earned an MPH in Health Policy and Management from Harvard, which—combined with her International Health Care Systems experience—provides her with a uniquely multi-faceted knowledge base for Clarion’s global clients.